1. 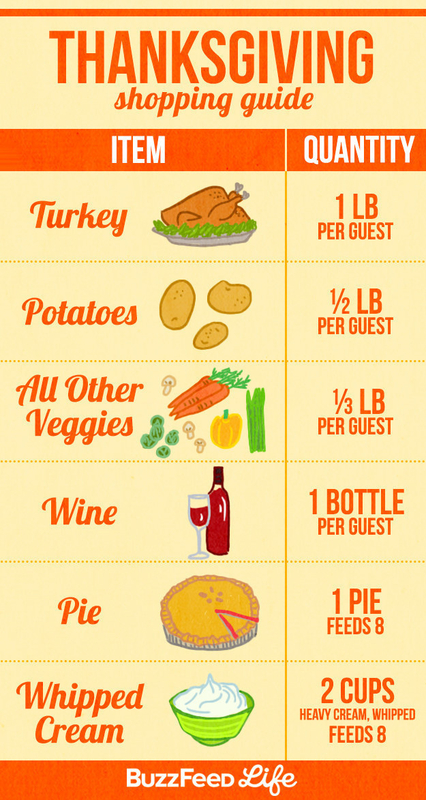 Make sure you buy enough (but also not too much) food, based on the number of people you’ll be hosting. Use these amounts to calculate what to request from people, too, if you’re asking guests to bring appetizers, desserts, wine, or other parts of the meal. 2. 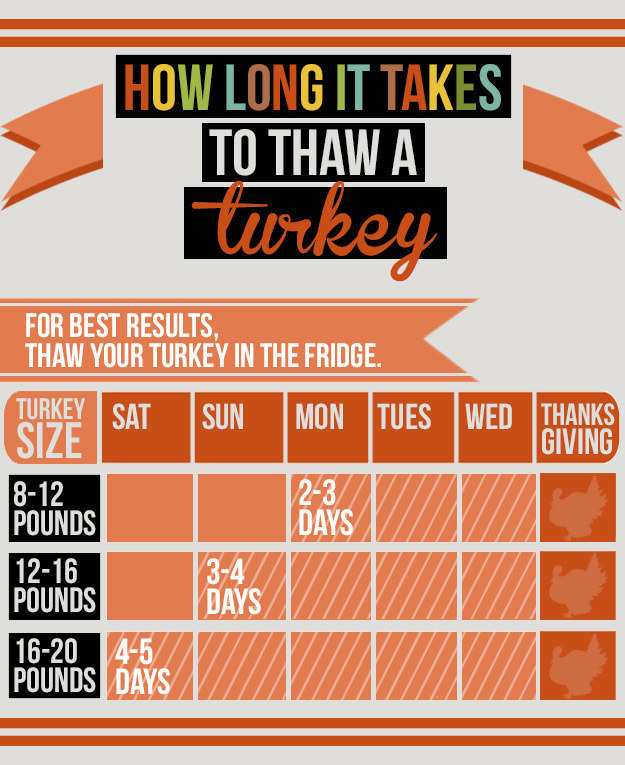 If your turkey arrives frozen, follow this guide for how long you should defrost it in the fridge. This guide is only for an uncooked turkey, though — for a more detailed tutorial on defrosting your raw turkey, go here. If you bought a frozen, precooked turkey, make sure to follow the directions that came with the bird. 3. If you’re opting for a wet brine, make sure to use the right amount of liquid and let your turkey rest for the correct amount of time. Read more details at Real Simple. 4. 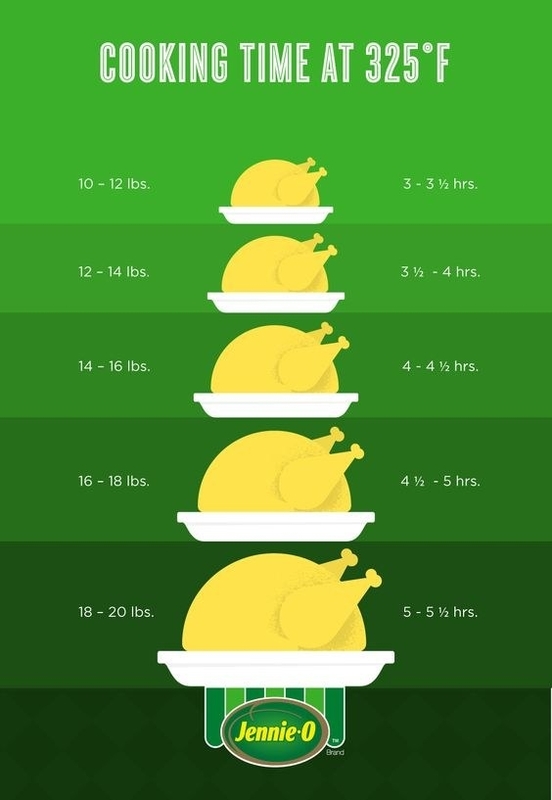 Approximate the perfect cooking time based on the weight of your bird. Oh and by the way, those little plastic doohickeys that pop up when the turkey is “done”? They’re a guaranteed way to overcook and dry out your turkey. So, follow these directions from Jennie-O. 5. When your turkey is done cooking, let it rest on the counter. Then, follow this guide to carve it so you get the most meat out of all of your work. Proper utensils are key here — you don’t want to try carving a giant bird with a dull knife. From Bed, Bath, and Beyond. 6. Follow this step-by-step guide to make stuffing with your favorite bread. You can also find a more traditional recipe here. 7. Grab just three ingredients and turn them into a delicious, savory gravy. You can also incorporate the turkey drippings — read more about how at Whole Foods. 8. Choose your favorite deviled egg customization, and serve those as your appetizer. Read more about it at SheKnows. 9. Transform crunchy, raw chunks of potato into creamy, delicious mashed potatoes. Read the how-to at Behind the Bites. 10. 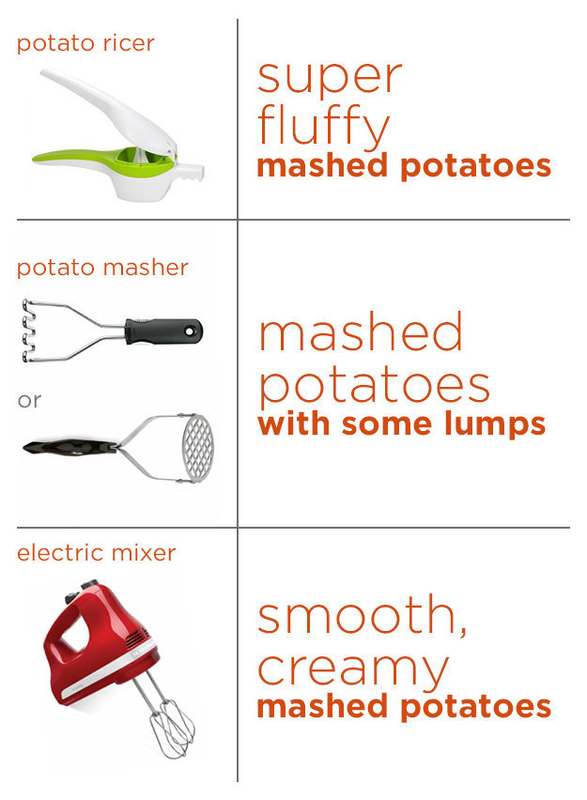 And customize the texture of your mashed potatoes by using the correct tool. And the correct potato — get everything you need to make your ideal potatoes here. 11. Avoid disappointing your guests by baking a pie that most people are likely to enjoy. Sorry not sorry, key lime lovers. Make your own pie. Read more about this at Degree Search. 12. 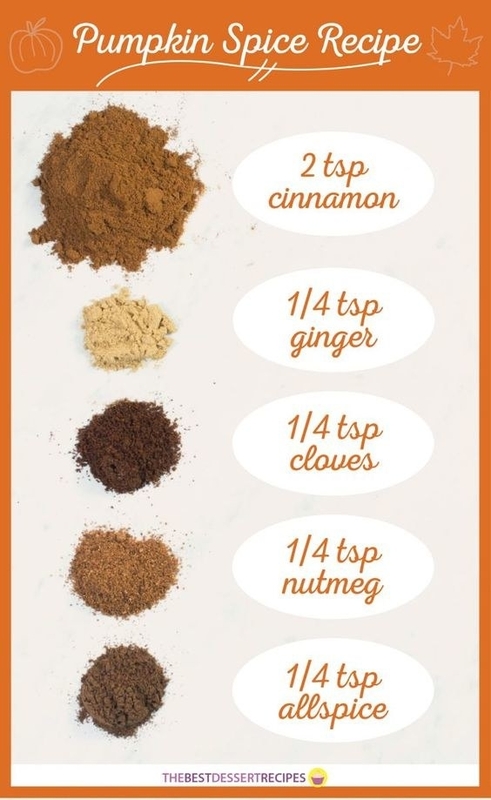 Mix up your very own pumpkin spice blend so you can adjust all the flavors to make your pie just right. Read more about how to make the blend at The Best Dessert Recipes. 13. Select the apples that will work best for making pies, applesauce, apple butter, and other fall dishes. McCormick has more apple recipes. 14. 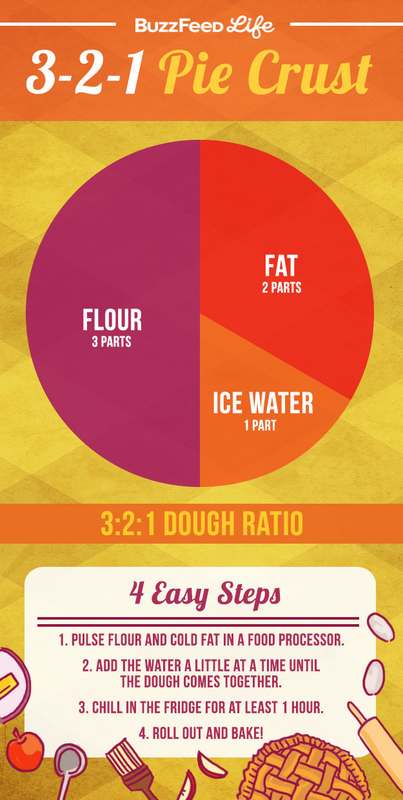 If you want to make your pie crust from scratch, follow these proportions so it’s perfectly flaky. Get 27 ~fabulous~ pie recipes here. 15. Let this show you how to lattice a pie. It looks so easy! (Although TBH I can’t do it that well). 16. 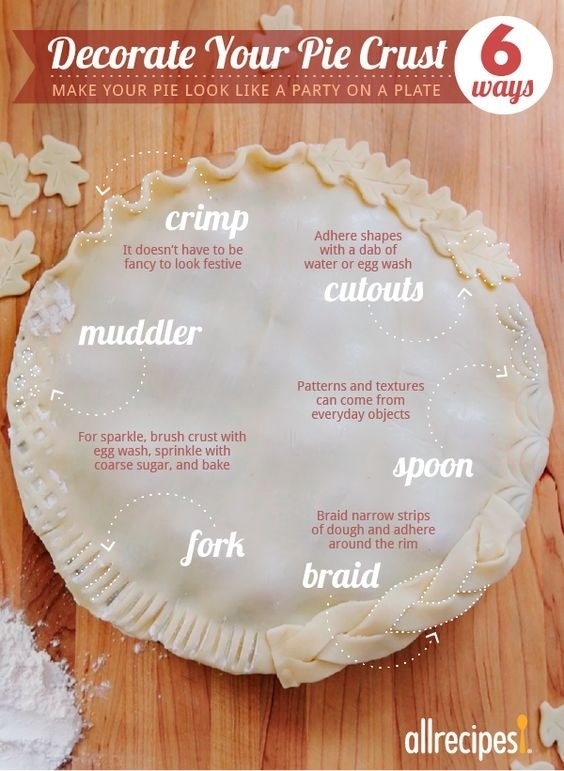 Or decorate your pie crust however you like best. All Recipes has a helpful video. 17. Of course, select the wine that tastes best with the turkey. Get more wine facts at Wine Folly. 18. If you live in an area where it’s super chilly already, try mulling some wine with spices and citrus. Find the recipes for these on She Knows. 19. If you’re diabetic, follow this chart for guidance on what to eat and not to eat (and how much!) during the big day. And BONUS! 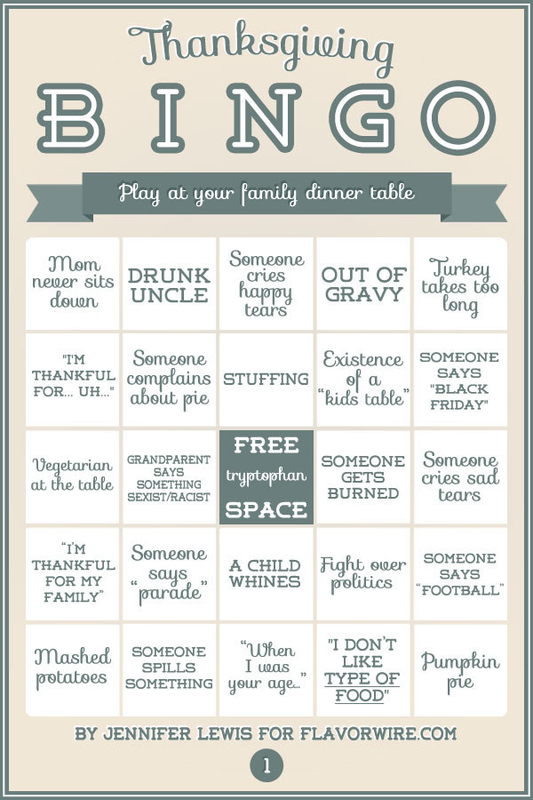 Print out these bingo cards for your family, then see who wins!